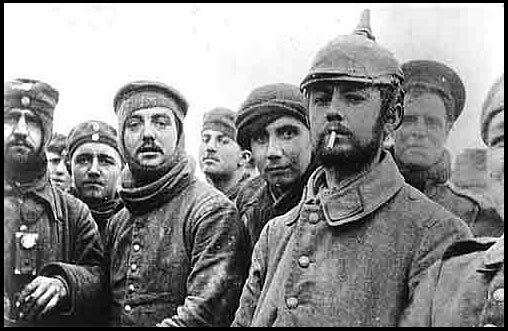 We almost never celebrate peacemakers, so why so much fanfare for the famous Christmas Truce? Go to war and every politician will thank you, and they’ll continue to do so—with monuments and statues, war museums and military cemeteries—long after you’re dead. But who thanks those who refused to fight, even in wars that most people later realized were tragic mistakes? Consider the 2003 invasion of Iraq, now widely recognized as igniting an ongoing disaster. America’s politicians still praise Iraq War veterans to the skies, but what senator has a kind word to say about the hundreds of thousands of protesters who marched and demonstrated before the invasion was even launched to try to stop our soldiers from risking their lives in the first place? And here are some people who won’t be celebrated in “education packs” sent to schools, although they were crucial in helping bring the war to an end: deserters. 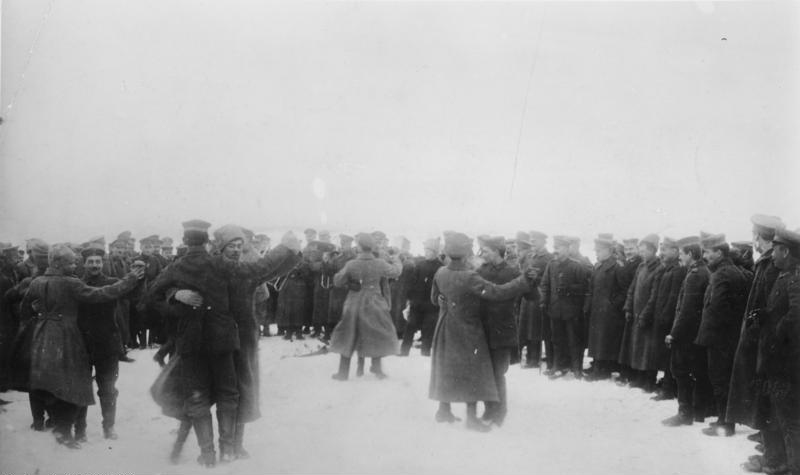 An alarmed British military attaché in Russia estimated that at least a million Russian soldiers deserted their ill-fed, badly equipped army, most simply walking home to their villages. This lay behind the agreement that halted fighting on the Eastern Front long before it ended in the West. Jump half a century forward, and you’ll see exactly the same pattern of remembrance. Next year marks the 50th anniversary of the arrival of the first official US combat troops in Vietnam, and already a duel is shaping up between the thankers and those who want to honor the antiwar movement that helped end that senseless tragedy. Adam Hochschild’s most recent book, To End All Wars: A Story of Loyalty and Rebellion, 1914-1918, won the Dayton Literary Peace Prize and was a finalist for the National Book Critics Circle Award. During the Vietnam era, he was a US Army Reservist and a founder of the Reservists Committee to Stop the War. To stay on top of important articles like these, sign up to receive the latest updates from TomDispatch.com here.